Based out of New York City, Kokun specializes in cashmere knitwear with lasting style. Simplicity and luxury are matched beautifully in the company's designs, which are further distinguished by exquisite detail work. A boxy fit, V neck top with dropped shoulders and two soft bamboo and cashmere layers. A long sleeve, v neck tunic sweater with an allover stripe. An open, cashmere cardigan with dropped shoulders and two front pockets. 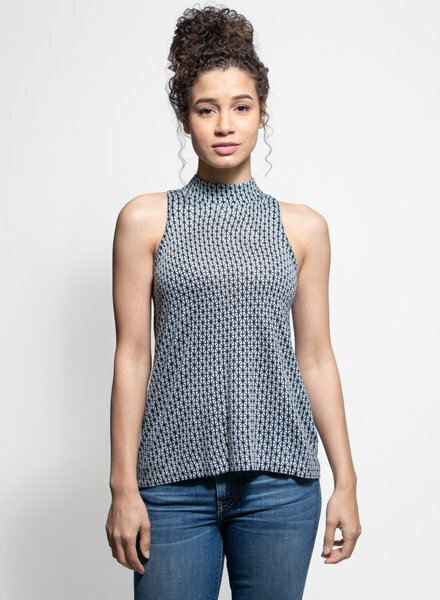 Sleeveless mock neck top with geometric print throughout. A long sleeve top with a step hem and an all over graphic print. 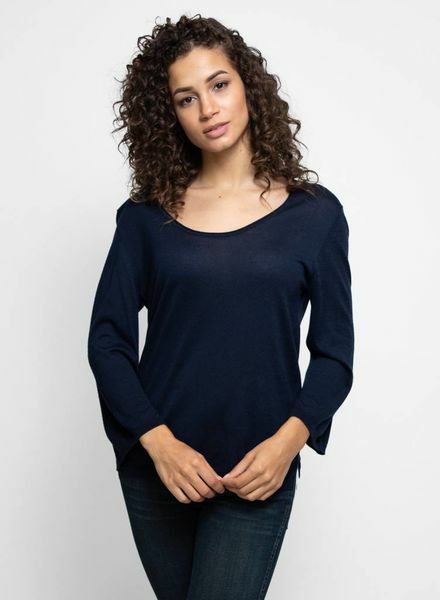 A relaxed fit, V neck top with accentuated seams in an overdyed blue. A boxy fit, crew neck top with accentuated seams in an overdyed silver. 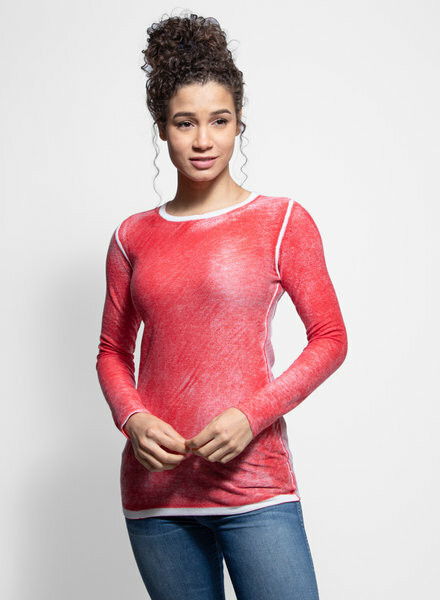 A fitted, crew neck top with accentuated seams in an overdyed cherry red. 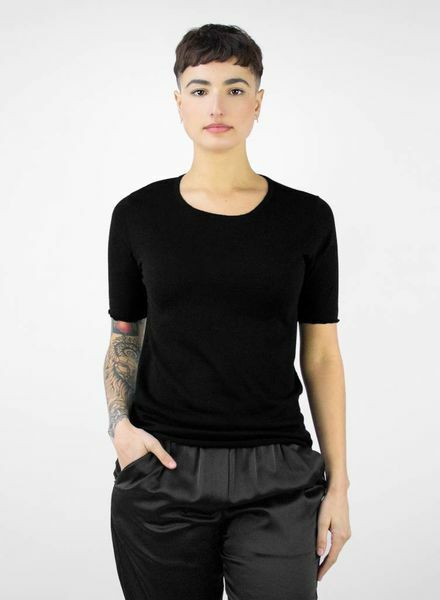 A fitted, crew neck top with accentuated seams in an overdyed black. A scoop neck, cap sleeve bamboo and cashmere tee in an overdyed sunshine yellow. A scoop neck, cap sleeve bamboo and cashmere tee in an overdyed black. 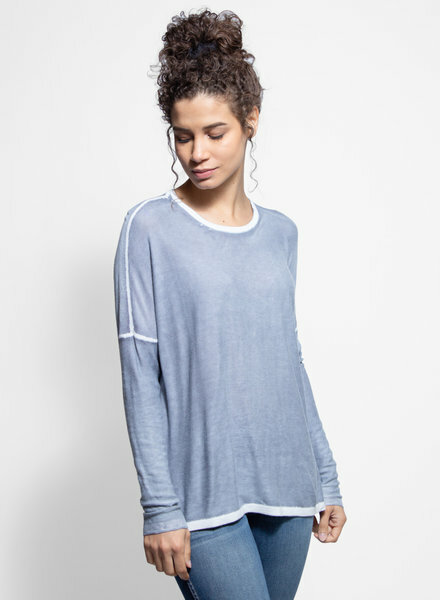 A crew-neck tee with slightly frilled hems at the sleeve. A scoop-neck tee with mixed stripes throughout. A long sleeve scoop neck top with bell sleeves. A long sleeve scoop neck top.